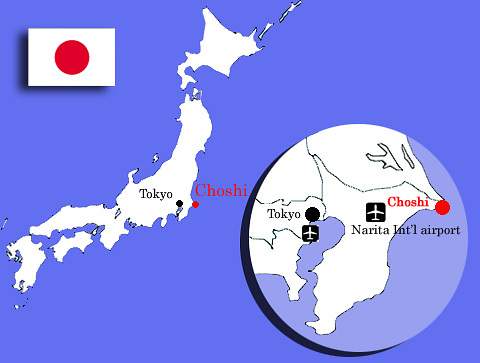 Choshi is situated approx.40 miles from Narita Airport ( just over one hour by car, and an hour and a half by train). 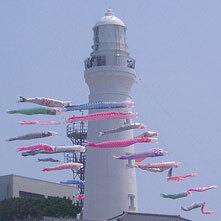 It is famous for it's fishing port, having kept the number one spot as the busiest port in Japan for a number of years. Fleets bring in record catches of sardines and saury every day, as well as countless other varieties of fish. The area around the old port boasts restaurants offering the freshest fish dishes and open front stores displaying the day's catch. Stroll around and feast your eyes on bright red kinmedai (alfonsino), crabs and even sea oysters, in season. 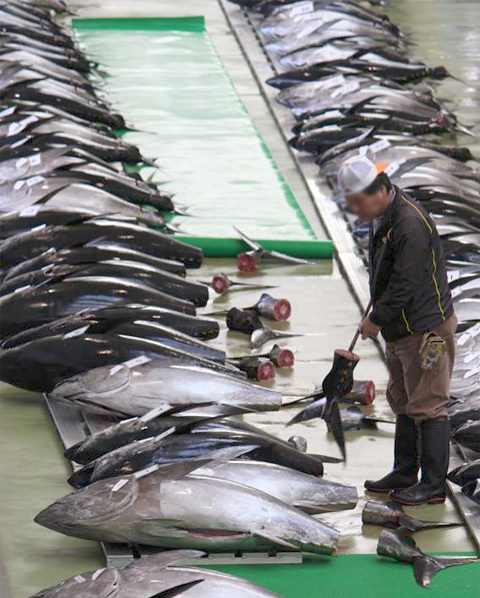 Visit the port early in the morning to watch traders haggling over the price of massive tuna and swordfish. Some are transported directly to Tokyo but the freshest are to be sampled right here on the spot in Choshi! For those wishing to explore the city further, Choshi boasts the first Western style brick lighthouse built by the Scotsman Richard Henry Brunton in 1874. Situated on the easternmost cape of Honshu island (main island of Japan), it offers great sea views from the top. Enjoy scenic walks along the beaches, rich with fossils and unusual geological formations and try the natural hot spring baths located in the resort hotels near the lighthouse. (a small charge is made for visitors). 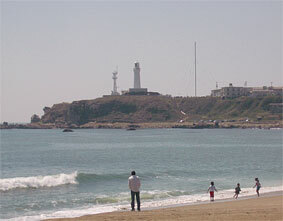 View of Inubozaki (Cape Inubo) lighthousefrom Kimigahama beach. Carp streamers floating on the breeze on children's day (May 5th). The image of a carp swimming upstream symbolizes strength and courage. Usually displayed by parents hoping that their children will grow up to be healthy and robust, the streamers also make popular decorations at various public locations at this time of year. 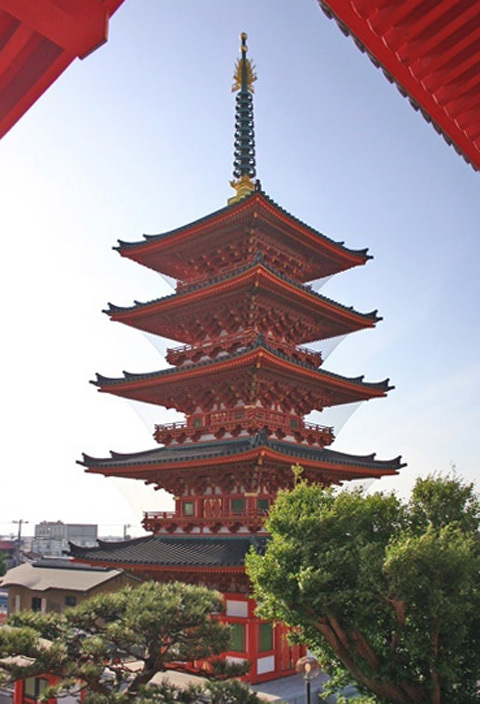 As yet largely undiscovered by overseas visitors, a trip to Choshi offers a unique experience and lets you enjoy the true taste of Japan! ITADAKIMASU!